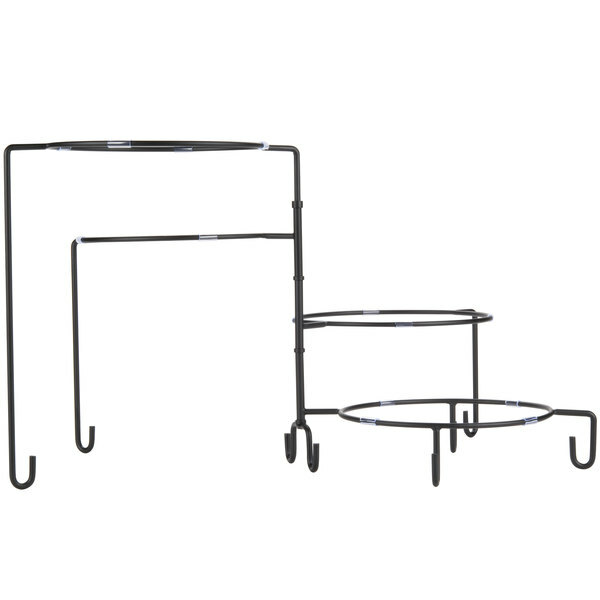 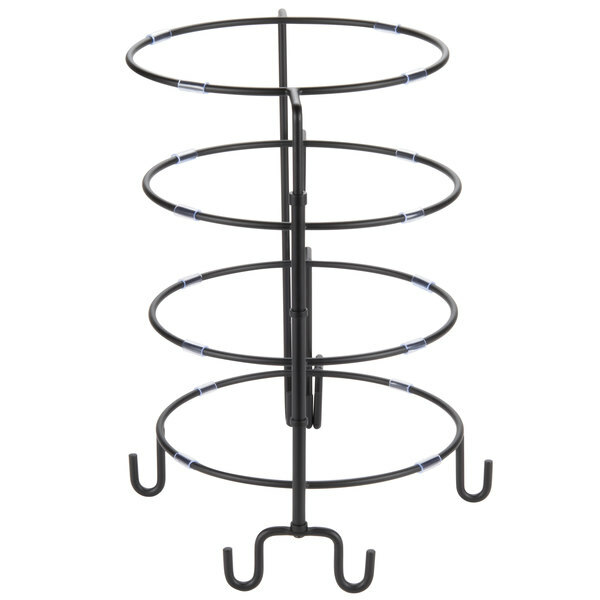 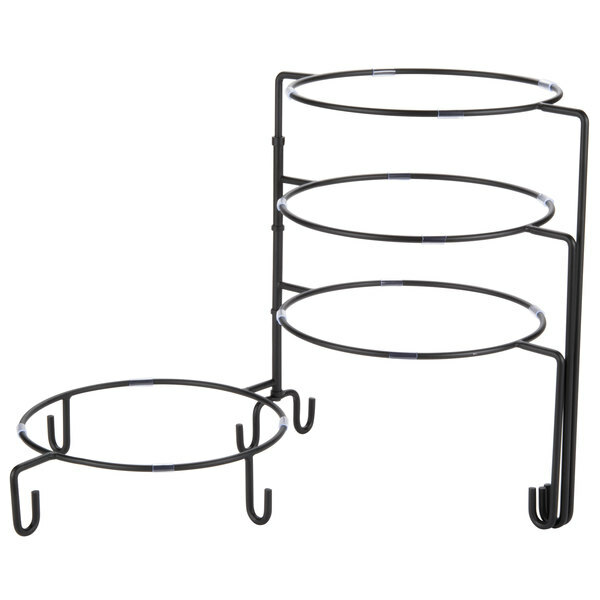 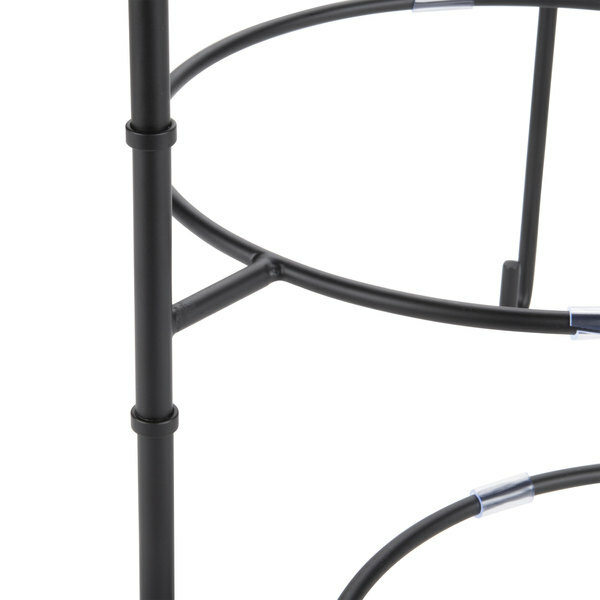 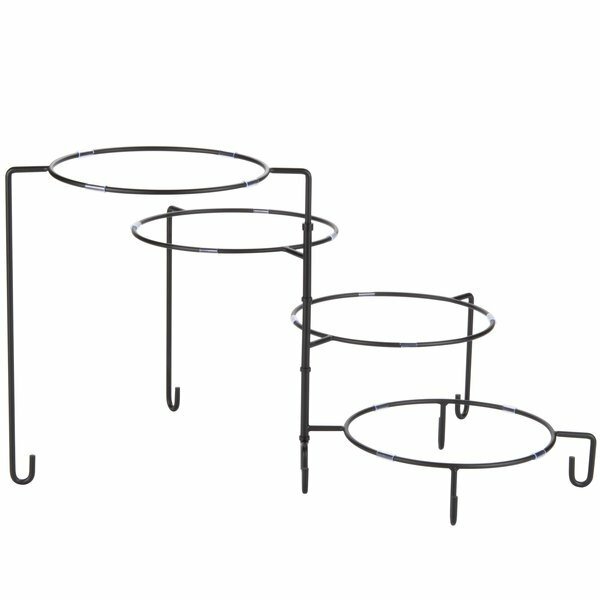 Build dazzling food displays with this black Tablecraft BKP4 four tier metal display stand. 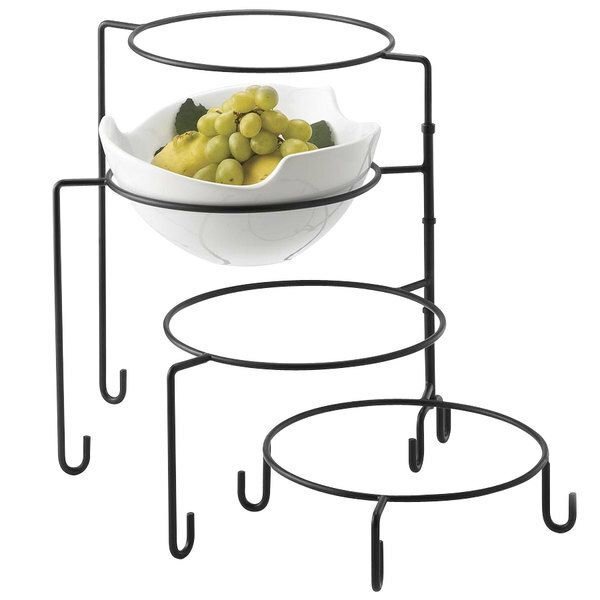 Perfect for attracting customer attention to hors d'oeurves, sides, or daily specials at your buffet, restaurant, or catered events, the Tablecraft BKP4 four tier metal display stand can hold round plates and bowls. 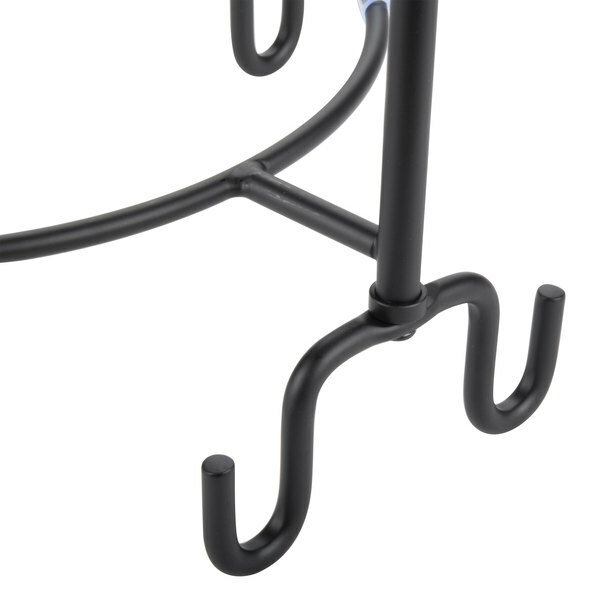 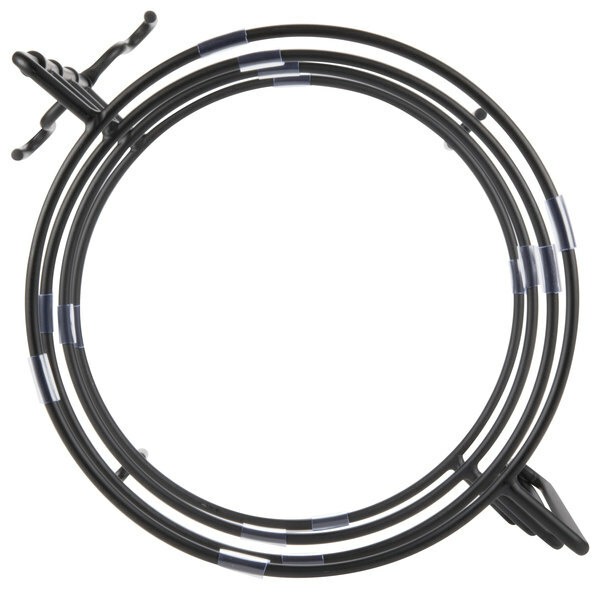 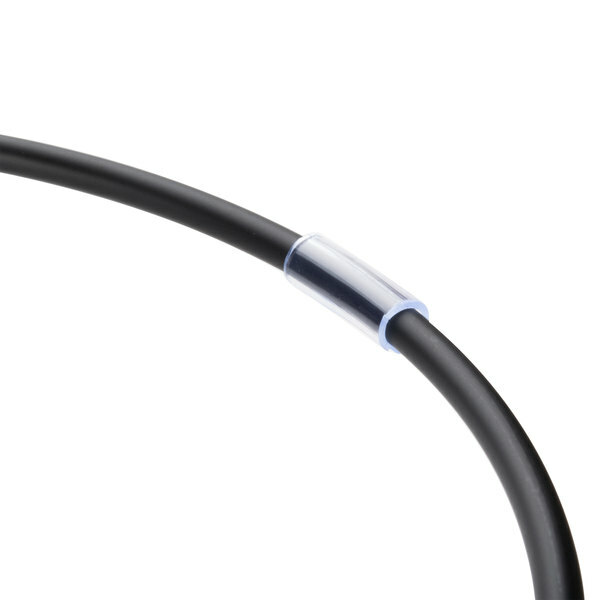 The set includes a pack of 16 slip resistant sleeves to keep your presentations in place. 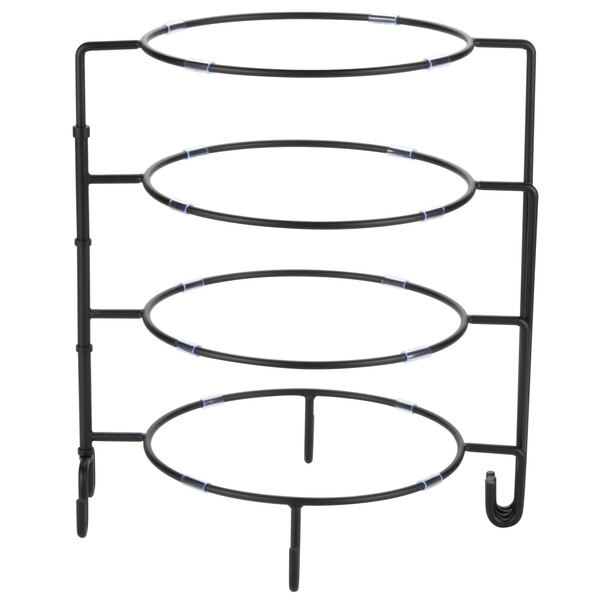 Cal-Mil 3056-333 Charcoal Riser - 3 1/2" x 3 1/2" x 3"
Cal-Mil 166-3-60 Bamboo Rectangular Plate Riser - 20" x 7" x 3"
Cal-Mil 1711-3-65 Iron Black Square Riser with Slate Top - 12" x 3"
Cal-Mil 432-3-13 Portland Square Metal Riser - 12" x 12" x 3 1/4"
Cal-Mil 3374-4-60 Bamboo Stair-Step Riser - 24" x 4"